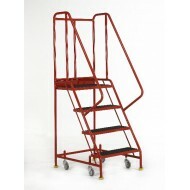 3 Tread Step with Anti-Slip Tread & Retracting Castors. 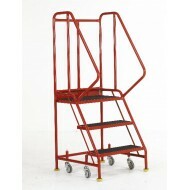 Robust, hardworking narrow aisle units with spring loaded castors. All welded construction. Sprin..
3 Tread Step with Rubber Treads & Retracting Castors. 3 Tread Steps with Punched Treads & Retracting Castors. 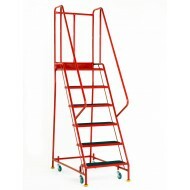 4 Tread Step with Anti-Slip Tread & Retracting Castors. 4 Tread Step with Rubber Tread & Retracting Castors. 5 Tread Step Punched Tread & Retracting Castors. 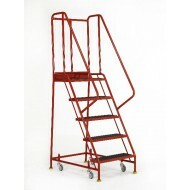 5 Tread Step with Aluminium Tread & Retracting Castors. 6 Tread Step Anti-Slip Tread & Retracting Castors. 6 Tread Step Punched Treads & Retracting Castors. 6 tread Step Rubber Tread & Retracting Castors.